The Reverend Amy Kindred is a Unitarian Universalist ordained minister with experience spanning more than a decade. She served Unitarian Universalism in congregations in Terre Haute, Indiana, Savannah, Georgia and Port Charlotte, Florida. 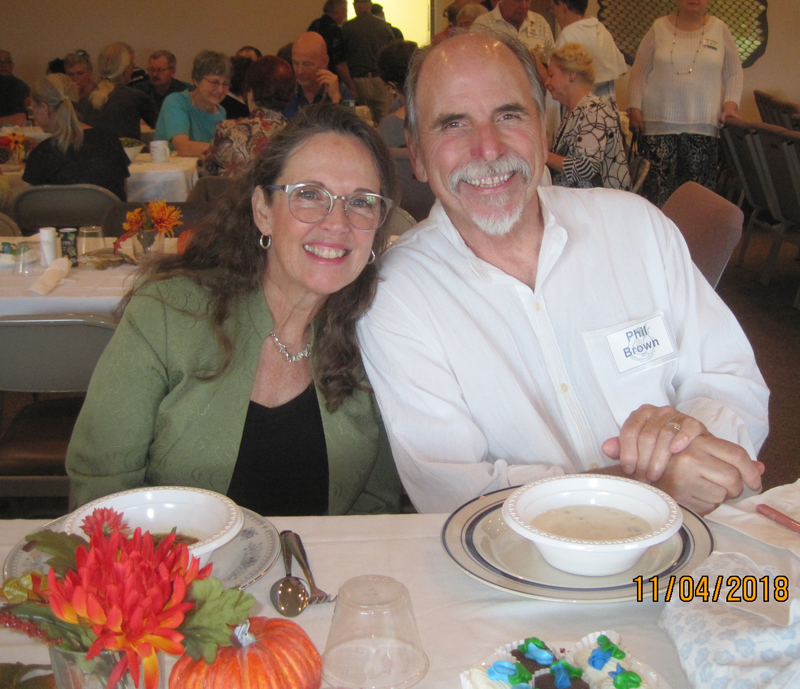 "Reverend Amy" began full-time ministry with Friendship Fellowship at Pineda in November, 2018. "The world needs Unitarian Universalism now more than ever. Through our actions and words, we aspire to live our seven principles thereby transforming ourselves and others. Holding each other accountable in a community of love, forgiveness and support, we forge the future by honoring the Unitarian Universalist prophets of the past. I cherish the opportunity to walk with others who have made a commitment to help heal a hurting and unjust world." Reverend Amy's office hours are Tuesdays and Thursdays, 9 to noon. Since there are many meetings on the calendar throughout most days, it's best to schedule an appointment. Her email is minister.ffp@gmail.com. Reverend Amy's day off is Monday and the day set aside for sermon editing and writing is Friday. Rev. Amy was ordained in 2008 and holds an impressive list of wide-ranging degrees to include: Masters of Divinity, Masters of Theological Studies with a minor in the Fine Arts, Bachelor of Science in Elementary Education and an Associate’s degree in Horticulture. Before her call to ministry, Rev. Amy taught art at the elementary school level both in Indiana and Florida and was the director of an art center in Indiana with a wide range of responsibilities. And, impressively, for a short while owned a technology consulting business. Social Justice issues, being involved in community outreach, working with children and of course, meaningful Sunday services are very important to Rev. Amy as they are to our members. Rev. Amy has a son, Blake and a stepson, Jamie and stepdaughter, Rebecca. Her other interests, when time permits, are walking (and sometimes running), cooking (vegetarian primarily), yoga (she’s a certified instructor), poetry and doing her art. Following Rev. Amy’s first service on Nov. 4th, members and guests of Friendship Fellowship welcomed her and her husband, Phil, with a luncheon for all. We are excited about her joining us and sharing her wide range of talents and interests knowing that it will enrich us all. Rev. Amy calls her ministry “a labor of love” and we at Friendship Fellowship are delighted to have her as our full-time minister. On March 10th, a unique celebration was held at Friendship Fellowship of Pineda. Reverent Amy (pictured here in blue robe) was and our Fellowship was formally recognized by people of different faiths and our own Fellowship that we are about to embark on a “shared ministry”. We work together, we share together, we are united in our faith, in our principles and in our Fellowship. Rev, Amy is leading our Fellowship and we are leading our Fellowship to improve, reach out, maintain, spread the 7-principles we hold dear and continue in the larger traditions of our faith. Congratulations to Rev. Amy and to the Fellowship for making this day a momentous event. Featured here were people from four faiths – we are all Americans.